This for both Travel Theme Transformation and Valentines Day in the Redwood forest you find growth and decay the trees transforming into soil to nurture those that come after them. A primitive sign of love and sacrifice. 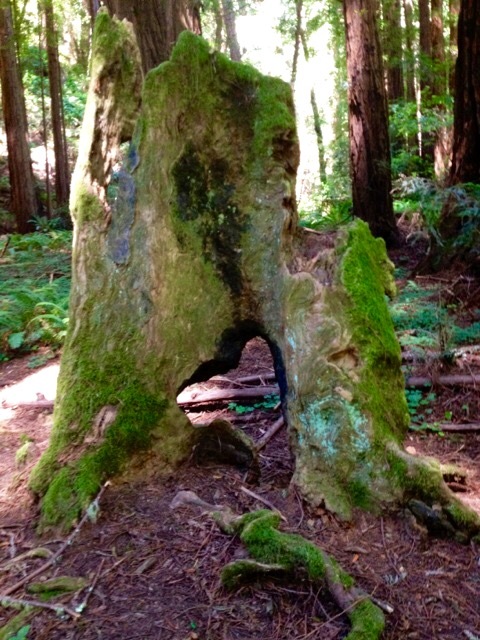 All that was left of a once mighty tree is a stump with a heart-shaped hole in the center. Make of it what you will but above all I hope your Valentines Day was a happy one. Oh and what is more Symmetrical then a heart Daily Post? This entry was posted in Challenges, Nature, Photography, Redwood Trees, Weekly Photo Challange and tagged nature, Photography, Redwood forest, Redwood Trees, Valentines Day, weekly photo challenge. Bookmark the permalink.